Welcome to Venture Communications & Security LLC, an industry leader in communication and security design, implementation and maintenance, offering our end-users the most sophisticated technology services available today. As a single source integrator, we can install all your network cabling and security needs. We are a low voltage licensed integrator utilizing the most modern technologies. Our knowledge and experience in structured cabling - including fiber optics - and ability to perform quality electrical work, make us a premier integrator for most any project... Business or residential. Constant communication and monitoring ensures you the highest level of satisfaction when working with us. Eliminate wasted time and money with quality, usable, integrated security solutions. Since we live in an application driven world, let our services put the ease of your needs at your fingertips. Yes - even when it comes to monitoring security from your iPad or Android device - there is an app for that! A security system is more than home protection. Security systems help you provide an extra level of safety and security for your family & your property. While most security companies offer one-size-fits-all security systems. Venture Communications & Security offers state-of-the-art integrated burglar & fire alarm systems that are customized for you to fit the unique aspects of your life. Most “Big Name” home security companies provide packages with long contracts and expensive fees for moving to another provider. We stand behind our systems and services. We are confident enough to let you decide how long to continue your relationship with us. At Venture Communications & Security, you are more than a contract. On January 1, 2017, the installations and operations of Nextgen Security CO. LLC merged with the operations of Venture Communications & Security LLC. The acquisition of Nextgen Security and the combining of the two companies moved forwarded together under the name of Venture Communications & Security LLC. For those of you unfamiliar with Venture Communications & Security, our company began in 1999 and its growth over the past 18 years has been predominantly internal, stemming from the referrals of our client base and those of other professionals. The growth and development of our professional staff has evolved in a similar manner. We have attracted high-quality, committed professionals and invested in their training and development. Because of those efforts, we have experienced significant growth over the past few years. This growth has been in no small way also directly related to the successes our clients have had in their business and personal pursuits. For the most part, these first few quarters have gone smoothly. Kevin and his previous staff have blended in and we have made changes to our daily operations to be more effiecient. Together we will continue the traditions we have for excellent service, deep expertise, and an environment our clients and employees want to be a part of. Kevin and I decided to seek this merger because we believe that a larger organization would be able to provide the customers with an expanded portfolio of unique services. Going forward, our access to expanded product lines and our dedicated trained employees will allow us to better serve each of you, and we look forward to discussing those opportunities in more depth with you very soon. 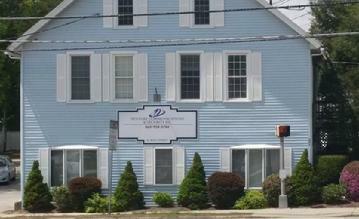 Our office is located at 321 Main Street, Danielson, CT 06239. Our main phone number is 860-928-2784 and our toll free number is 866-848-0204. Our fax number is 860-928-4039. Be on the lookout for service agreement opportunities via email and with your invoices. We will be offering in-house new product seminars and training at our offices. Please be sure to check your invoices for the proper “remit to” address. Kevins email will now be kevink@venturecomsec.com and his current cellphone number will remain.